Hellenic Bank has chosen to implement Fiserv technology for its digital transformation of its payments. 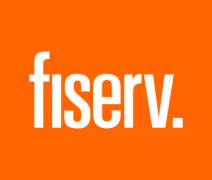 The Dovetail Payments Platform from Fiserv will enable the bank to simplify its payments architecture, aiming to offer customers new and customised capabilities. “Hellenic Bank using new payments technology to meet customer needs in a rapidly changing digital landscape,” adds Jan Kruger, president, enterprise payments solutions, Fiserv. The Dovetail Payments Platform provides a single platform to centralise and manage “all types” of payments and clearing schemes. With this implementation, the bank hopes to decommission multiple siloed payments systems, simplify IT and payments architecture, and facilitate process automation.